Can I Get A Custom Size? 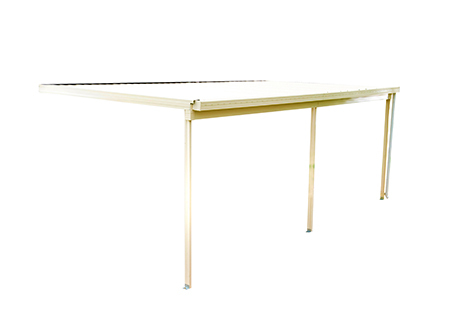 No - Only the various sizes as shown on this website. 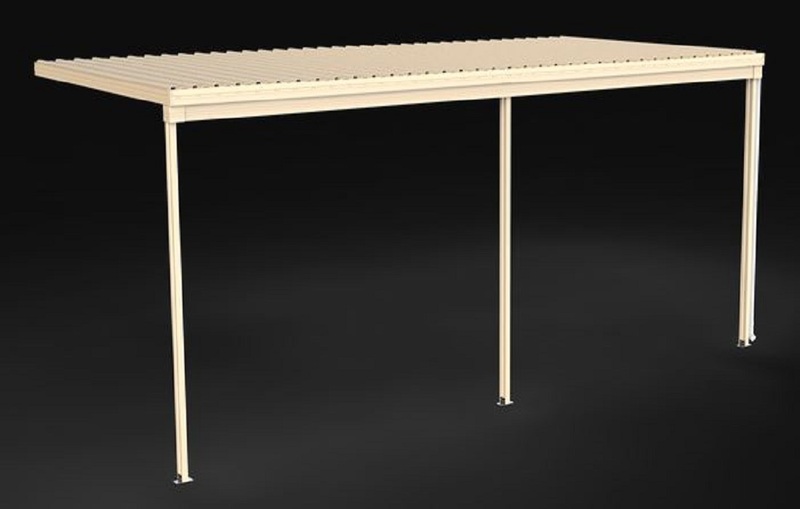 These products are set size & configuration items. They can not be modified or made to order. 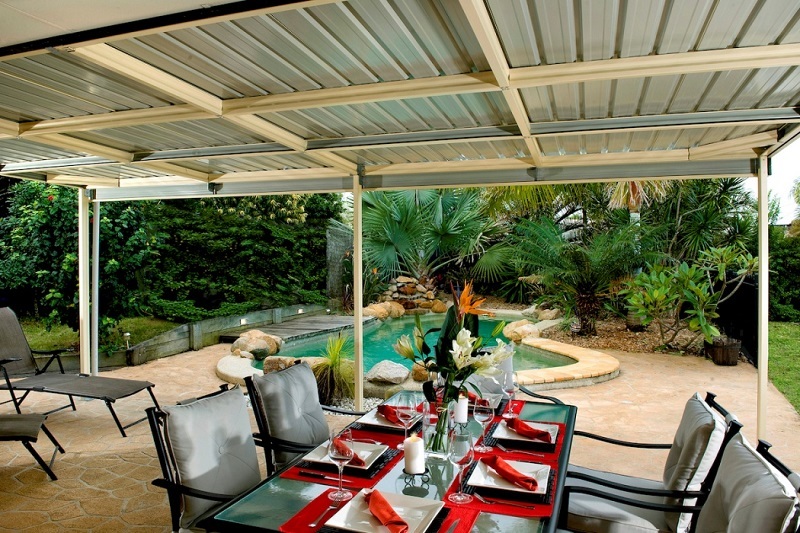 The Absco range of Patio Awnings is an affordable choice in outdoor living. 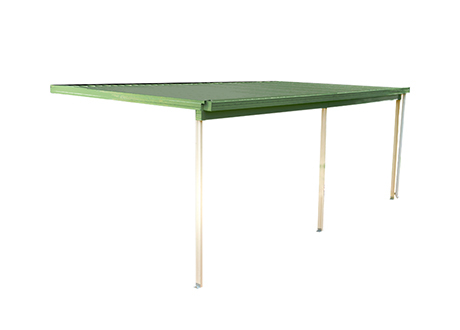 These patio awnings or pergolas are available in two size configurations. 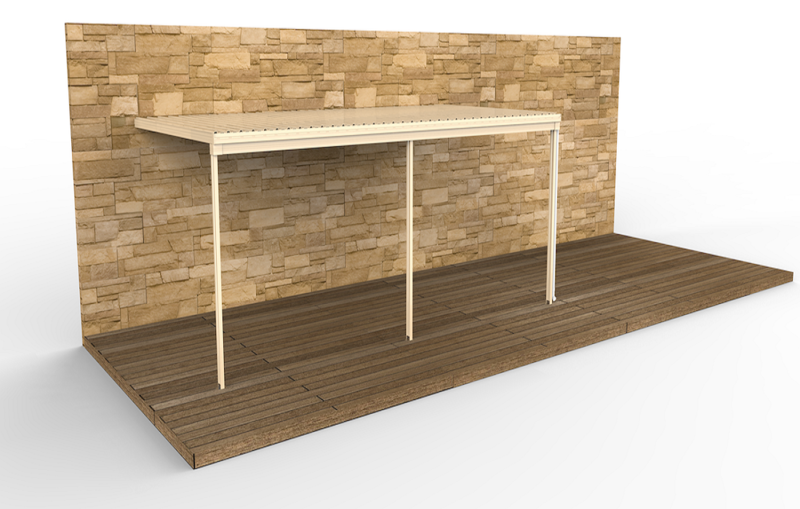 There is the 3m x 3m & the most popular – 6m x 3m. 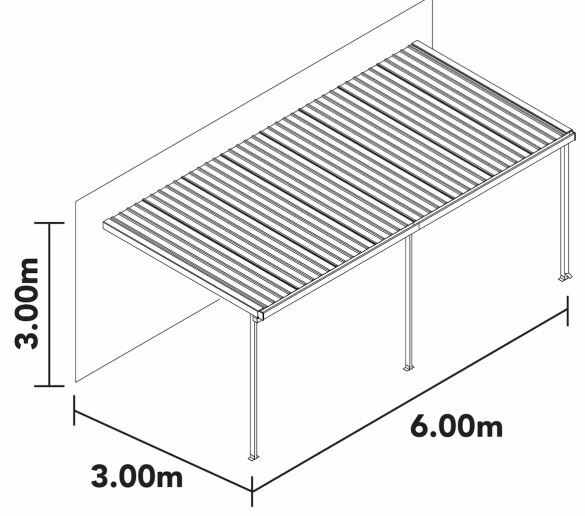 In these size options, Absco offer their models in both their standard Patio Awning range which is manufactured from Bluescope (BHP Australia) Zinclaume® & Colorbond® steel (with a comprehensive thirty (30) year written manufacturer’s warranty), and in the Eco-Nomy range that are made with an imported steel roof sheeting product of similar gauge – at a budget price point. Choices galore – there is an Absco Patio Awning model just right for you. 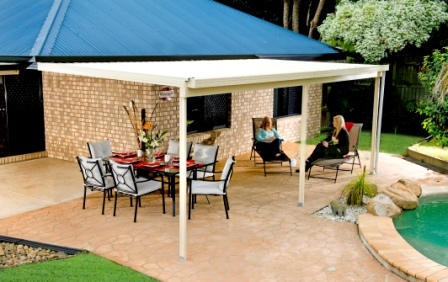 Start enjoying or extend your outdoor living space – or even use it as a carport. 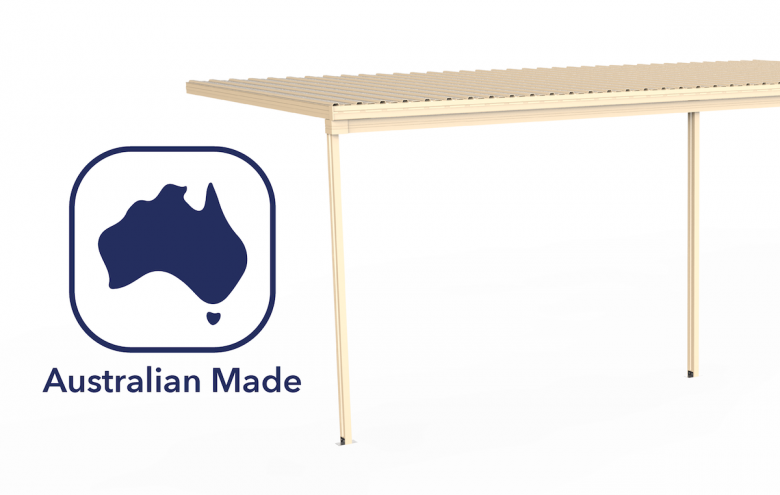 Both options are engineered, designed & manufactured in the same way. Both satisfy the same Australian & NZ Standard, & both have the same structural & wind rating compliance rating – Cyclonic W50 (C2). 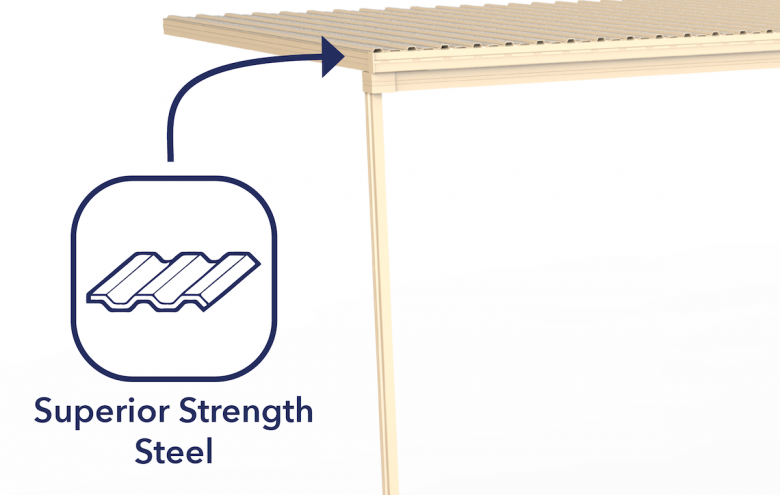 The only difference is in the roof sheeting – Bluescope Vs Imported. 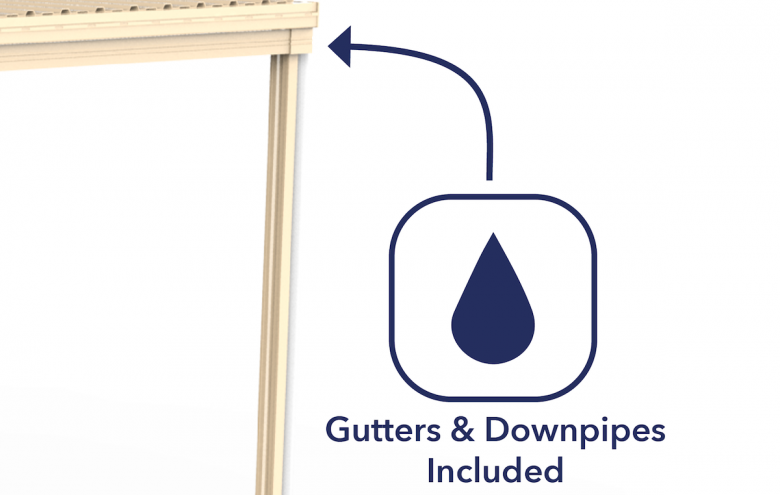 All Patio Awnings are complete with fascia, gutter & PVC downpipe. 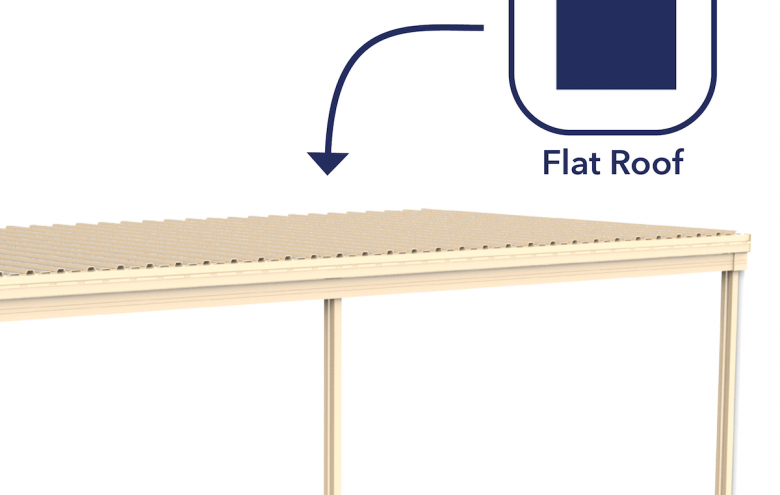 The posts can be easily cut to satisfy various installation situations, with the structure delivering up to a 3m height. After adjustment (where required) these posts are fitted off with “L” shaped brackets & dyna bolted to an appropriate concrete slab or footing. Please note that these Patio Awnings cannot be modified or custom made to order to different size & configurations that is offered on this web site. 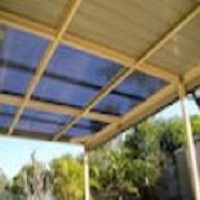 Save time, save money – make an Absco Patio Awning or Pergola, proudly offered to you by Discountsheds.com.au – your new outdoor entertainment option. 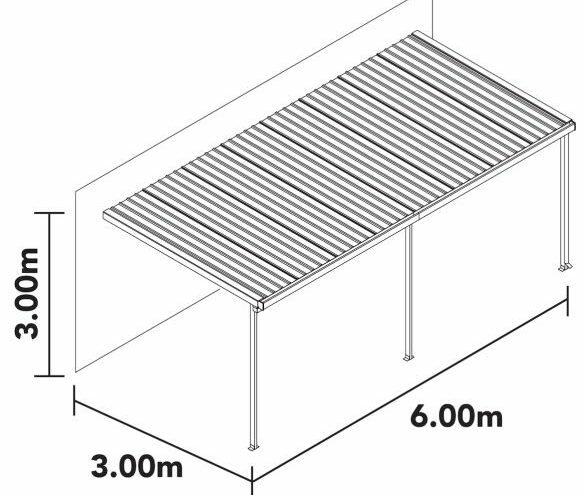 The patio awnings framework is constructed from 80 x 40mm galvanised steel C channels/sections. Some of these are used in a singular fashion & some are fixed together to form a complete box section. 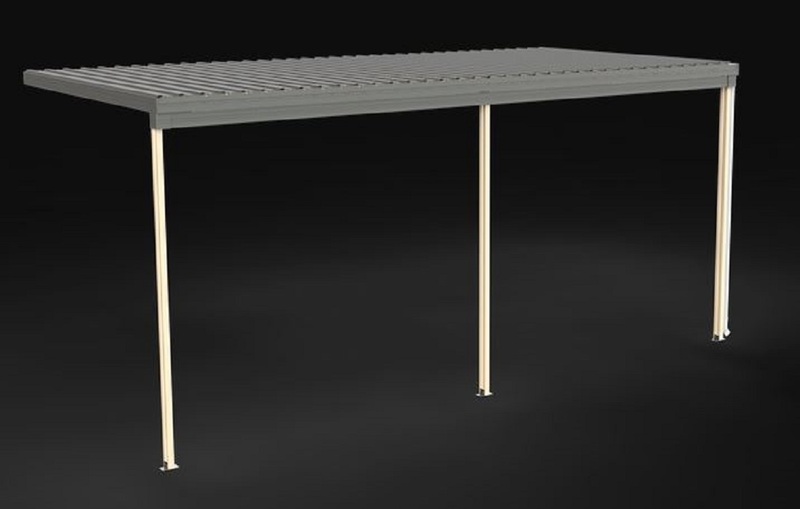 These channels are similar to those used in domestic steel house framing applications.